For those who show and wish to conceal their CSI pad under a Navajo blanket, our Show Cut pad is the best option. It is cut slightly more narrow around the barrel and thus can be fully covered by most Navajo blankets. If you show horses this is the pad for you. 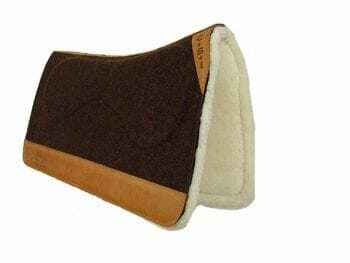 The barrel racing crowd really like this pad because it has a smaller footprint.